The Rail Auxiliary Team is a joint effort between the Washoe County Sheriff’s Office and the local railroad. 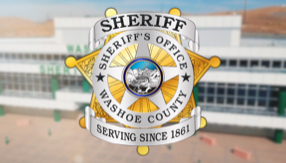 It was created to provide a trained force familiar with rail operations and to act as additional eyes and ears along the rail lines within Washoe County. In providing additional observers along these lines, they are able to report suspicious activity such as trespassers, graffiti or objects on or around the rails as well as reporting any hazards that might interfere with safe railway operations.